Yep, you read that right. 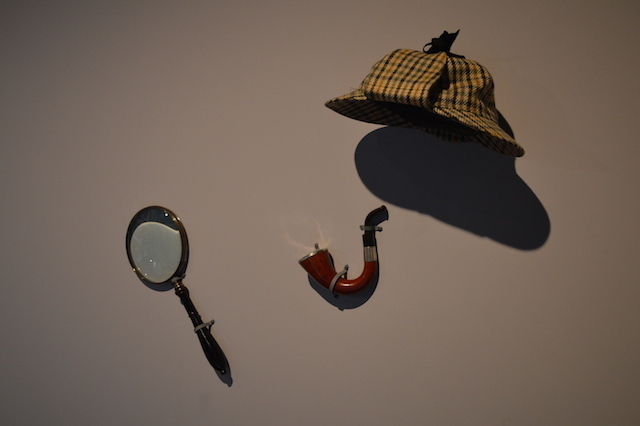 For two nights next year, Museum of London holds Sleeping With Sherlock nights, giving the public a chance to learn all about the detective at its first all-night events (adults only), on 14 February and 28 March. The evening includes a three-course dinner, talks from detective specialists, comedy performances and improvised story-telling, the secrets of fingerprinting and blood splatter analysis, grizzly ghost stories in the thick of night, a movie marathon and a full English breakfast. It's not cheap though — at £175 per ticket you may have to do some sleuthing yourself to uncover enough cash. If £175 is a bit steep for you, there's a wealth of Sherlock-themed events coming up, thanks to Museum of London's Sherlock Holmes exhibition. Visit the exhibition with a talk by the curators, and ask them your questions. Hear the story of a real-life Sherlock Holmes, or if you fancy yourself as a bit of a detective, go Sleuthing with Sherlock and learn Victorian crime-solving methods. Take part in a (potentially very heated) discussion about who offered the best portrayal of Holmes on stage or screen (we think Cumberbatch might be a shoo-in here) — and the role of Watson is under scrutiny too. At the end of the season of events, kick back and enjoy a Sherlock Film Night — fancy dress encouraged. Plus, every Saturday there's a chance to grab your deerstalker and go walking through the sights and sounds of Sir Arthur Conan Doyle's Victorian London. Event prices vary. All require prebooking.